and remote debugging through CDT/gdb/gdbserver. I am not sure if it’s included in any 3.3.x releases but I know we should be able to install it just like any other eclipse plugins. Out of the box, you can use RSE to browse through your local system. 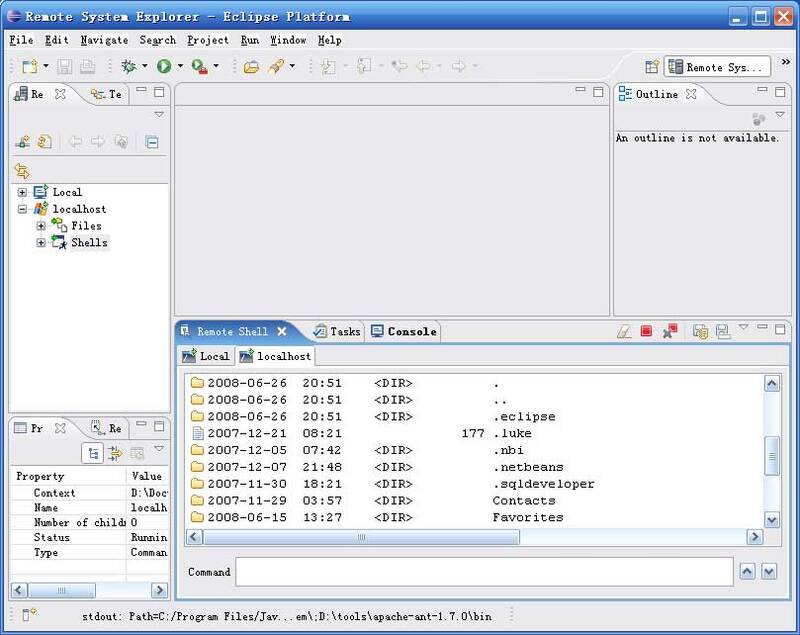 And you can also easily set up an FTP connection to an FTP server, and then you are ready to use it just with any other FTP clients such as Filezilla client, CuteFTP and FTPExplorer. Ok, let’s get started on installing DStore Server for remote system explorer. 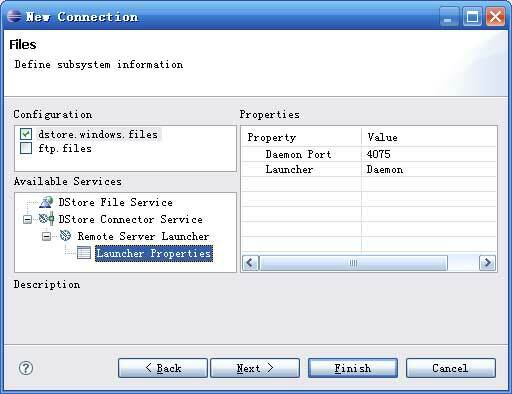 Install Dstore Server on your system, I am using Windows XP. Go to Target Management project RSE downloads to pick up a build, I am selecting 3.0. On the next page, scroll down to click rseserver-3.0-windows.zip for Windows platform to start downloading. After download is complete, unzip it into a directory. Now you can click “Files” to browse the system files and directories. Or you can also launch a shell by right click “Shells” and choose to start working on shell. You can type any your system commands to see what happens.